I had never experimented with tray icons alone in my Ubuntu before and this was my first experience with different try icons for GNOME. 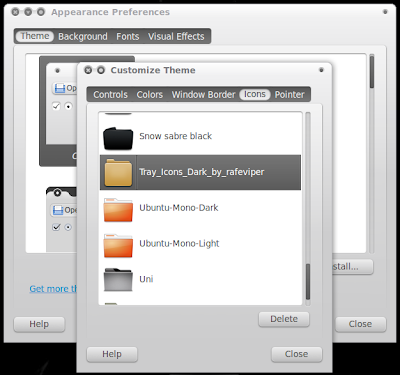 There is a dark and light version of the tray icon theme for GNOME and both of them looks very neat(and a tad too small to my liking). Give them a try and find out for yourself. How to Install Tray Icons in Ubuntu/GNOME? Extract them and copy-paste the extracted folder to the following directory. Now, goto System - Preferences - Appearance and simply select Tray Icons for GNOME from the Themes sub menu. Thats it, you are done! And if you liked them already, you need to check out our collection of awesome and most popular icon themes for Ubuntu GNOME and these very new set of GNOME GTK themes.